First let I introduce I self. My biblical name is Aaron but many know I as Ras Thumpa I.
I have been having a reasoning with I bredren about which tribe I would be associated with based on my earth strong (Dec 29). A fellow Twelve Tribe member and a few key bredren said I am an Asher ites (born in December). Recently I was reasoning with a Bobo elder who says I am Naphtali as my earth strong is near the end of the year (Naphtali born in January). I would apprecilove some guidance and wisdom to know I true tribe affiliation. Give thanks for the knowledge and upliftment. 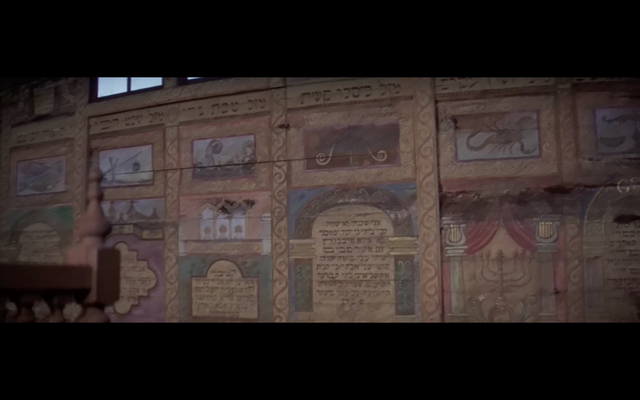 "It is based on the Hebrew calendar. As such the year begins with April or the Tribe Reuben. The beginning of the year starts with the first moon and then to the next (ie. the next lunar month) is Simeon and so on. You have to look up the moons in the year you were born to figure out which tribe you are in. Sometimes you can be born in a certain month but through the lunar calendar turn out to be from a different tribe." Good to see some of the veterans round here.. welcome forward Garvey I! Ras Jesse I find what the I shared very interesting, that the tribe is based on the moon cycle and not on the month itself.. and also not on the sun and constellation position which major aspects of astrology are based on. I didn't know that! And yet it seems that the tribe virtue relates to sun sign virtues also.. Issachar is the Leo yeah? 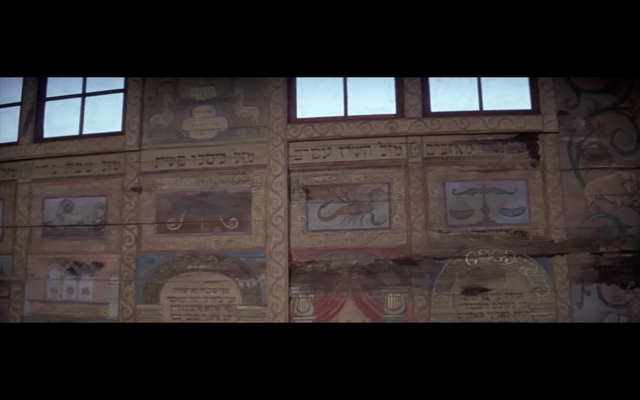 Zeal, fixed fire sign, seems to align.. And Zebulun is the month of Virgo, it is pink according to 12 tribes (pink =love?) and virgo is all about nurturing and mothering/fathering (Virgo is Iwomban).. It seems the tribes may relate both to moon and sun position? 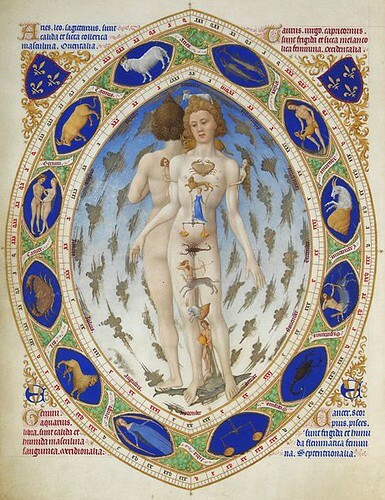 It shows images of the constellations of the zodiac... scorpion, scales, 2 fish, etc. 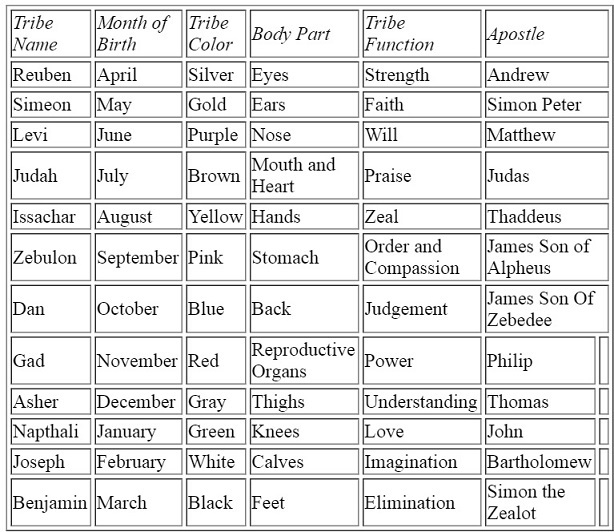 If the 12 Tribes months are based on hebrew bible then maybe the zodiac astrology is woven in also? The signs of the zodiac and how they relate to body parts...similar to the idea of the 12 tribes relating to body parts! Similar but not exactly the same, yet many of the zodiacal body parts align to this chart.